Brilliant! You have an above average IQ! You're brilliant! There is no doubt that you have above average intelligence. You accurately answered most, if not all, of the questions! Every time a painting or picture was flipped or missing an important detail, you noticed the mistake! You are intelligent, detail oriented and have a remarkable visual memory. Whoops! You missed most of the mistakes! You most likely have an average level of familiarity with these famous paintings and photos. Take the time to brush up on these images and take the quiz again! There's no doubt that you'll eventually notice all of the mistakes! 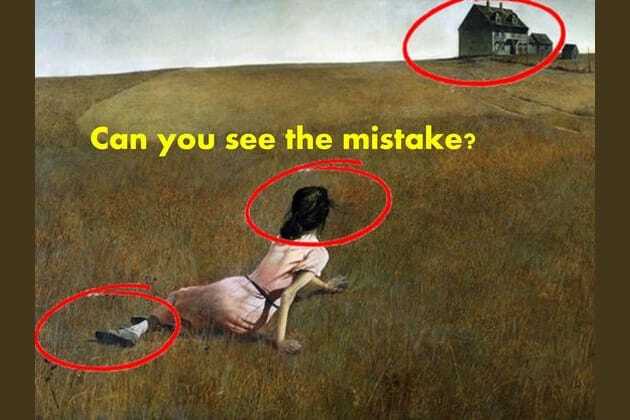 Can you find the mistakes in these famous paintings and photos? Let's see how smart you REALLY are!